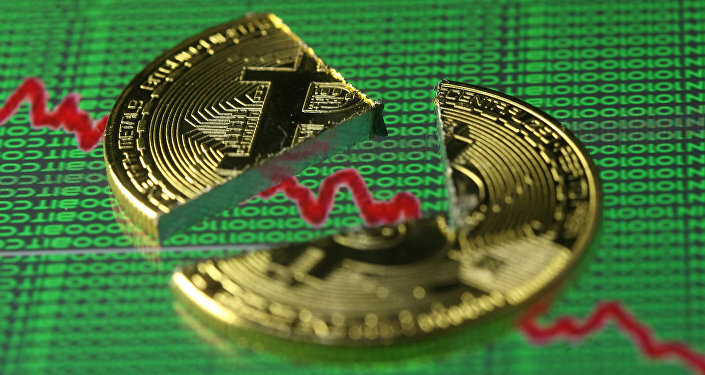 Bitcoin, the world’s most popular cryptocurrency, has seen a major correction, losing over 40 percent of its value in less than a month, prompting investors to dump the cryptocurrency in exchange for the precious metal. Gold dealer Sharps Pixley said sales of gold coins at Frankfurt-based CoinInvest grew fivefold as Bitcoin collapsed in recent days. "Yesterday was a hell of a crazy day. Emails and phones did not stand still, with customers asking how they could turn their crypto into gold," Director Daniel Marburger told Bloomberg. As of this writing, the cryptocurrency, which skyrocketed from below $1,000 in early 2016 to the historic milestone of $20,000 in December 2017, was hovering around $11,600 per a coin, according to CoinDesk. On Wednesday, the price of Bitcoin dropped to $9,400 at one point. "Bitcoin is a bit of a lobster pot – it’s easy to get in, but hard to get out. Gold also offers investors 4,000 years of history as a store of value, and that’s looking quite appealing right now," a gold trader told Bloomberg. While Bitcoin and the dollar have recently declined, gold rallied 7.5 percent in the past month to a four-month high. In recent weeks, investors have been increasingly worried about the future of Bitcoin, as China and South Korea have announced plans to crack down on cryptocurrencies.